Hey marketers, do you remember the glory days of Facebook when you could publish a post and a large percentage of your fans and followers would get that content delivered right to their newsfeed? Sadly, those days are long gone and now we live in a world where Facebook undervalues brand posts to try to get companies to pay to boost their content. Well... the glory days are back. (At least for now.) 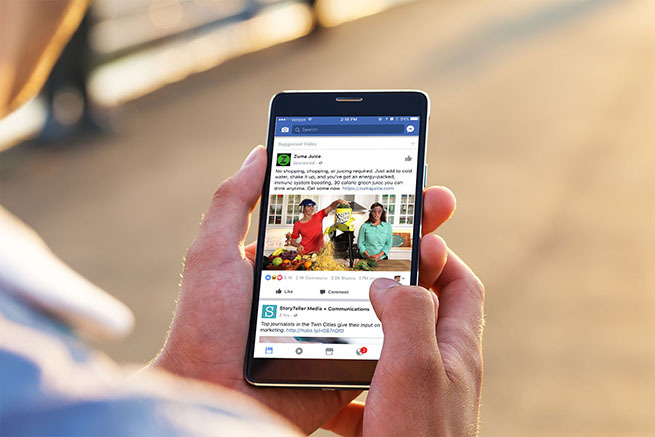 Facebook recently launched Facebook Live Video and in an effort to get individuals and brands to start using the new functionality, they are heavily favoring any live video content in notifications and news feeds. We are huge proponents of video here at StoryTeller. We believe that integrating video into your marketing strategy can help boost conversions, increase engagement, and drive results. And while we generally prefer true video storytelling to quick social media videos, there can be some real advantages to using video to connect with your audience in real time. There have been several platforms that have tried to make live streaming video popular, however, Facebook Live Video for pages and brands is now becoming a crucially important way that brands should be connecting with their audience. The stats tell the story: Did you know that 92% of mobile video consumers share videos with others? Or that 80% of viewers remember a video ad they have viewed in the last 30 days? Video is effective, it's memorable, and it's sticky. So here's what you need to know to get started with Facebook Live Video today. It's actually really simple. All you need is a smartphone connected to a Facebook account that has admin access to your Page. Click the button to compose a post from your Brand Page. Press the blue "Continue" button on the introduction page. Don't worry, pressing "Continue" won't start the recording. Name your video and set your description. This is completely live video — no editing or retakes during the process. 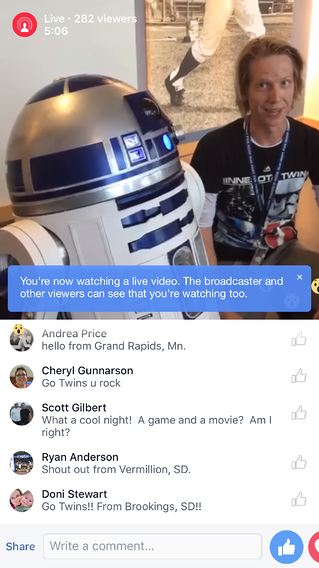 Facebook will post the full, recorded version of the video to your timeline when your are done filming. It takes a few minutes for people to see the notifications and log in to start watching your video, so be sure to plan a minute or two of filler before you talk about the bulk of your video. It's important that if you are going to make an effort to post something on Facebook Live Video, that you take the time to understand some of the key benefits of this over other types of posts. It's real-time, it doesn't require any editing or post-production. Viewers won't be expecting the same production value as a full video story. It's conversational. When users log in, they can immediately start commenting on your video. This is a great platform for answering questions, giving demostrations of products, etc. It will be promoted. Facebook is currently pushing the Live Video functionality, so most likely your visitors will recieve a notifcation the first few times you do a live video. And the videos are also being favored in the news feed. It's still content. So just like other content, make sure to make it interesting, keep things moving, and have a plan before you post to ensure that things go smoothly. It's unique. It's still a novelty for people to see live videos in their newsfeed, but it won't be forever. 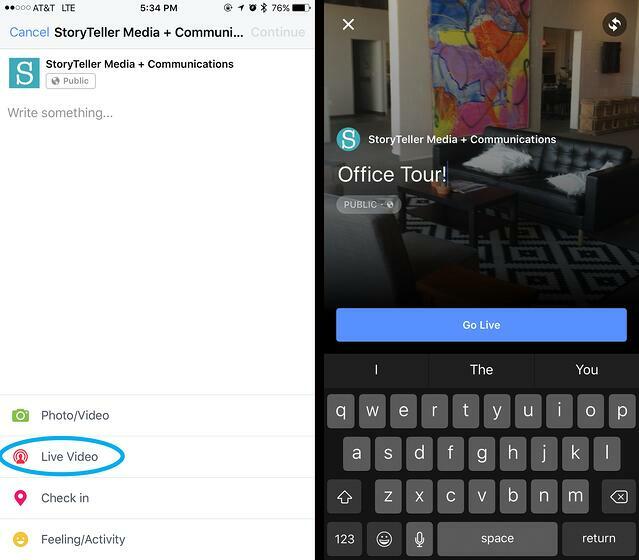 These are just a few ideas, but hopefully they will help you get your wheels turning about how your company might be able to use live video. That's all you need to know to get started in the world of Facebook Live Video. If you want more in-depth information about the post-video analytics and tips for viewer enagement, check out the full guide available on HubSpot's blog.